On November 30, 2007 Pope Benedict issued the encyclical letter, “SPE SALVI facti sumus“-in hope we were saved. Here is an excerpt from this, his second Encyclical letter. 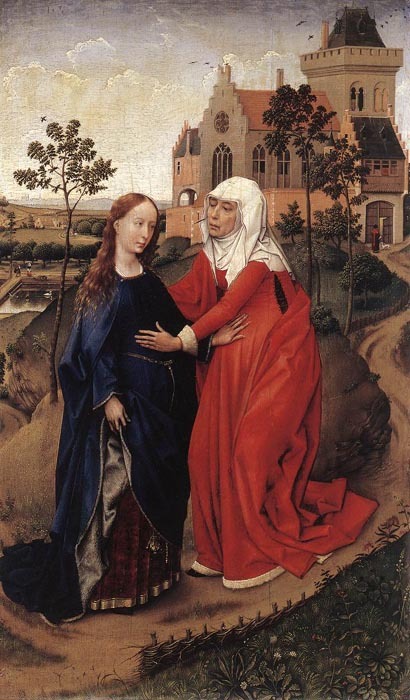 “So we cry to her: Holy Mary, you belonged to the humble and great souls of Israel who, like Simeon, were ‘looking for the consolation of Israel’ (Lk 2:25) and hoping, like Anna, ‘for the redemption of Jerusalem’ (Lk 2:38). Your life was thoroughly imbued with the sacred scriptures of Israel which spoke of hope, of the promise made to Abraham and his descendants (cf. Lk 1:55). In this way we can appreciate the holy fear that overcame you when the angel of the Lord appeared to you and told you that you would give birth to the One who was the hope of Israel, the One awaited by the world. Through you, through your “yes”, the hope of the ages became reality, entering this world and its history. You bowed low before the greatness of this task and gave your consent: ‘Behold, I am the handmaid of the Lord; let it be to me according to your word’ (Lk 1:38).